We protect our secret formula like your coach protects the playbook. But we don't mind telling you a few of the key ingredients. Because we know you're not just looking for any ole lip balm. This stuff will give your whole mouth a pep talk. SPF 15, beeswax, coconut oil, aloe vera. With a hint of smooth mint flavor. And of course, it's wrapped with your team's logo. It's a winner. NBA gifts for men and women for Easter, Mother's Day, Father's Day, Christmas stocking stuffers, birthdays. 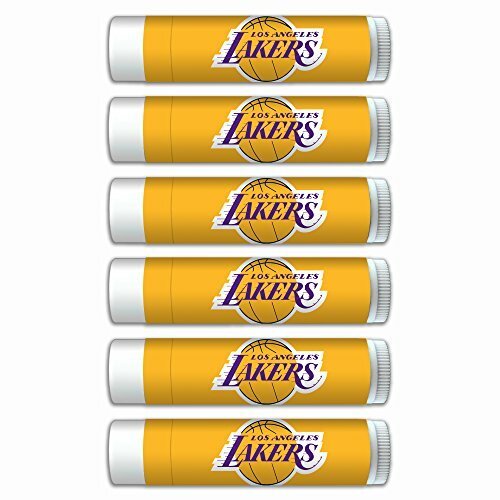 LA Lakers Lip Balm with SPF 15, Beeswax, Coconut Oil, Aloe Vera. Water Resistant 80 Minutes. If you have any questions about this product by Worthy Promotional, contact us by completing and submitting the form below. If you are looking for a specif part number, please include it with your message.